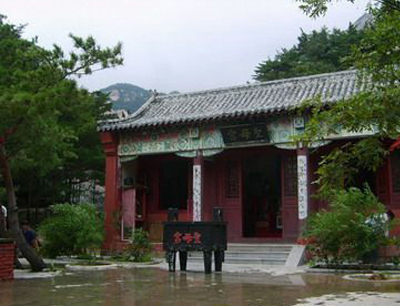 In 2003 year, Kunyu Mountain Martial Arts Academy was established. 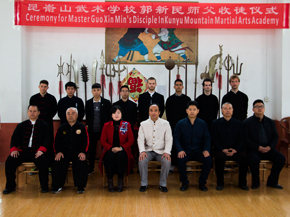 All working staffs work very hard and dedicated to improve the academy and carry forward Chinese martial arts, a treasure of Chinese culture. 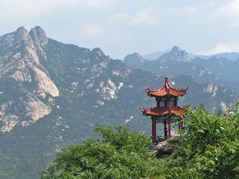 On the basis of our great teaching characteristics and through years of hard work, Kunyu academy is getting very popular ,and gained a very good reputation in the world,and there are many students returned to study again,our students come from Asia, Europe, Africa, South and North America and Oceania. 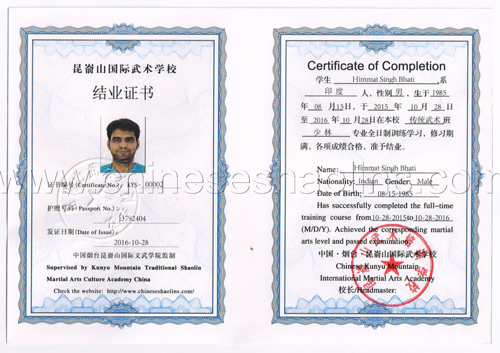 After student finished the training here,we will offer normal certificates . 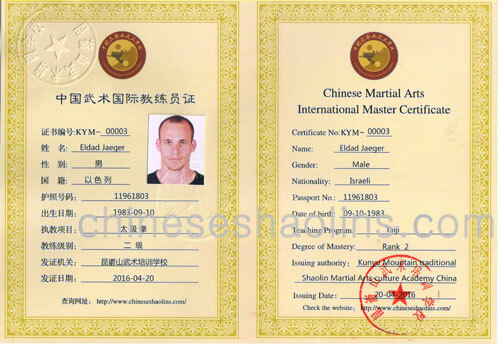 Those who study well are able to achieve Degree certificate and Master certificate authorized by China martial arts association,that will be very helpful for the student who want to be a master in future.Some students, like Andrew and Scott, returned home and started teaching martial arts. 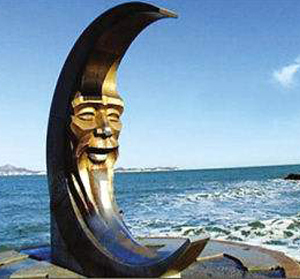 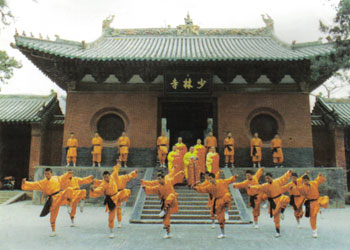 They spread Chinese martial arts and work on the promotion of Chinese martial arts to world. 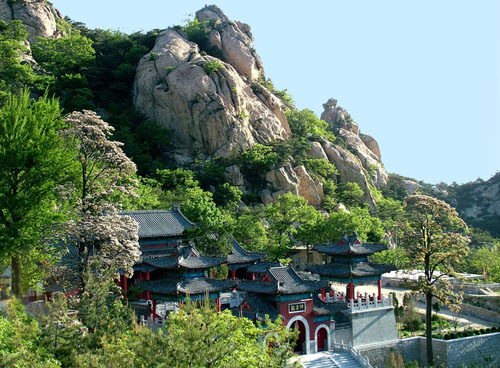 Click here to see our student open his own kung fu school in USA. 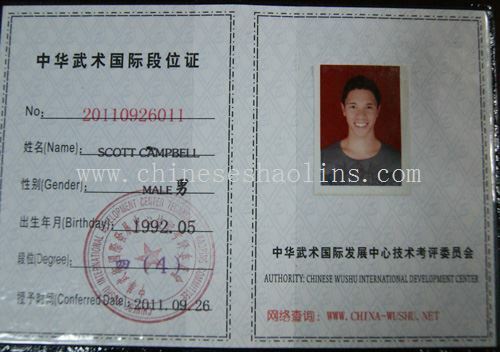 Student Scott got degree certificate. 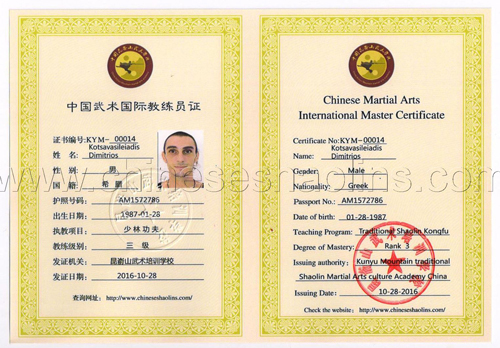 Student got Master certificate. 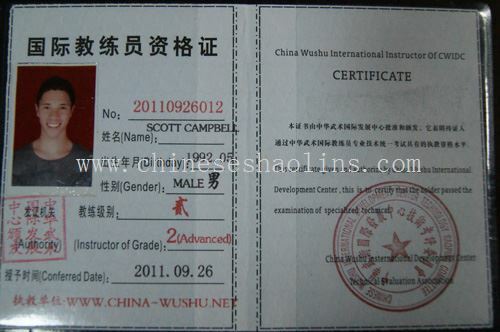 The degree certificate the student got. The Master Certificate student got. 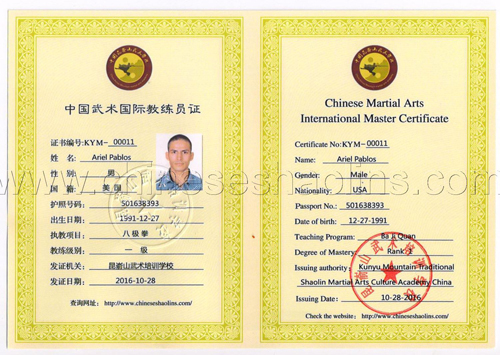 The Master and Degree Certificate of 2016 Year below issued by Kunyu academy & Martial arts Association. 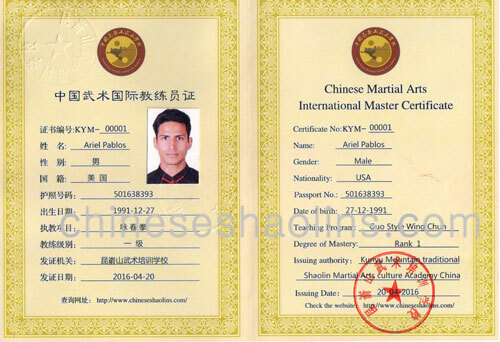 Ariel Pablo achieved Master Certificate of Baji Chuan in Oct 2016. 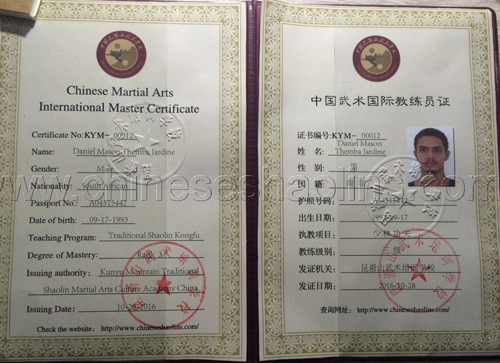 Himmat achieved Shaolin kungfu Master Certificate in Oct 2016. 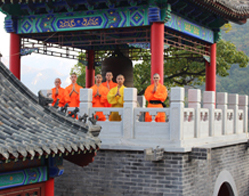 Marvin achieved Shaolin Master Certificate. 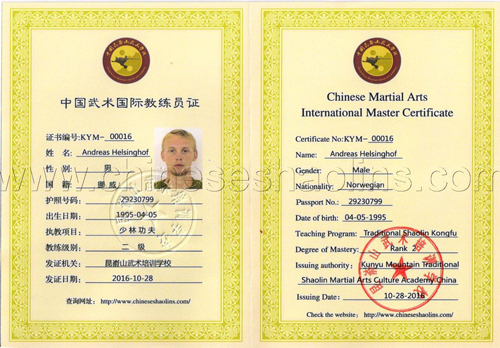 Andreas achieved his Shaolin Master Certificate in 2016. 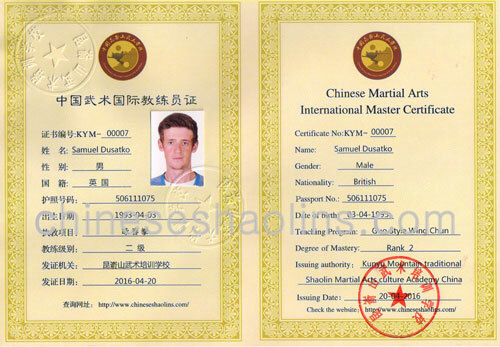 Daniel achieved his Shaolin Certificate in Oct 2016. 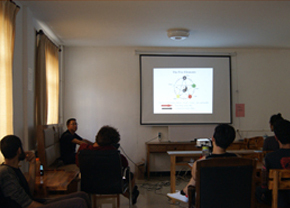 Dimitrios achieved his Master Certificate in 2016. 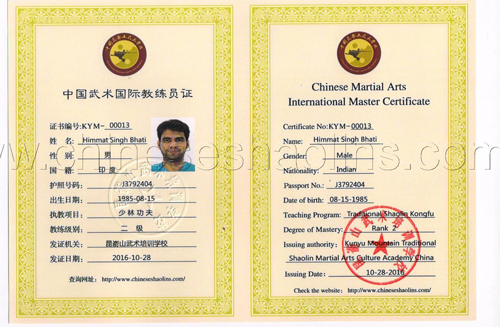 Himmat's Certificate of Completion in 2016 Year. 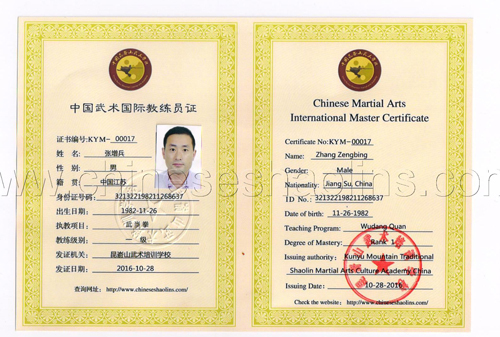 Mr.Zhang achieved his Wudang master certificate in 2016. 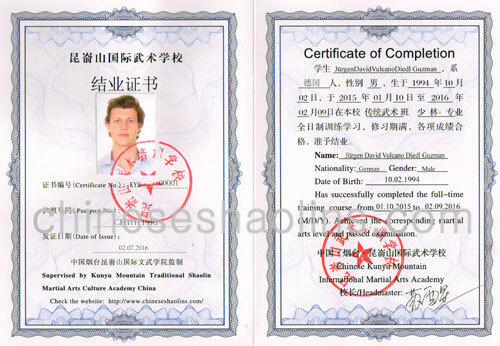 David achieved his Certificate on Feb 2,2016. 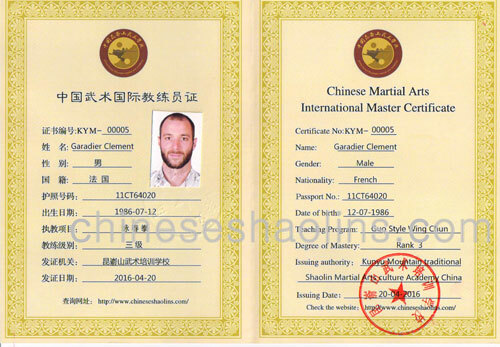 Garadier achieved his Certificate on April 20 2016. 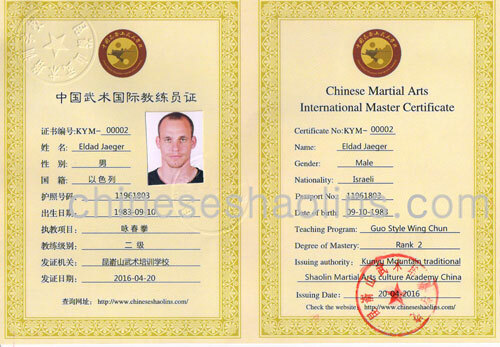 Eldad got his Master certificate on April 20,2016. 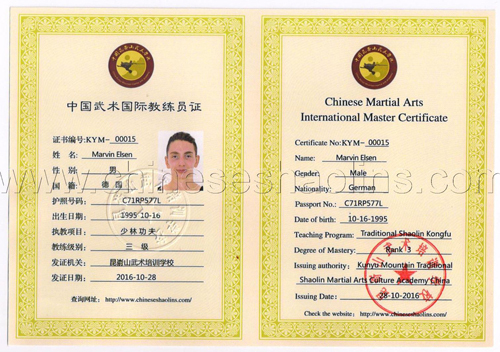 Garadier got his Wing chun Master Certificate on April 20,2016.